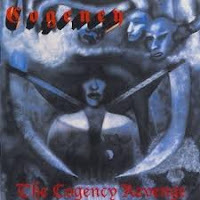 Cogency was another German band experimenting with the law of averages, writing an uninspired but competent thrash album well past its due. In fact, the more The Cogency Revenge wears its 80s stripes proudly, the better the album seems to grow, but there is too little among the 48 minutes here to warrant much beyond a curiosity to any of those so loyally adherent to the genre that they're willing to pardon mediocrity for sincerity. Dark, pumping thrash metal with brute lyrics is the band's forte, and though the tones of the guitar are very crunchy and lo-fi (similar to another unknown, Despised), I actually find the production pretty strong, summoning up nostalgia for a simpler time in the style. Cogency also use a lot of variation in their writing process, which helps balance the angry, blunt centrism of its thrash aesthetics with elements of melody and attempts at quality leads. It's like a mix of old Metallica, Sodom and other acts that wrote amazing songs, only...more rough about the corners. The vocals are like an abysmally hairy yeti stalking its kills, but after a spell I've rather gotten used to them, and the speed/thrash surges in tracks like "Escape" and the writhing "Biomechanoid" are at least worth whipping up a circle pit and slamming one another into the next world. There is a subtle component of groove used on the album, but more like you'd have found in the 80s than the burgeoning nu-metal scene of the next decade. It's interesting to hear a band like this balance their gentle side with brutality, as in "Under Influence" or "The Face", and it adds an undercurrent of replayability to what is otherwise a pretty standard effort. The Cogency Revenge isn't half bad, but it doesn't have the cloying riffs and charming chorus sequences to ride in the vanguard of its brethren from the prior decade. Taken out of its place in obscurity, and tucked neatly into 1987-88, it might have had the potential for more attention that could have expanded its legacy. As it stood, it wound up a footnote for the band Anger, which produced some demos with a more traditional heavy/speed metal sound. 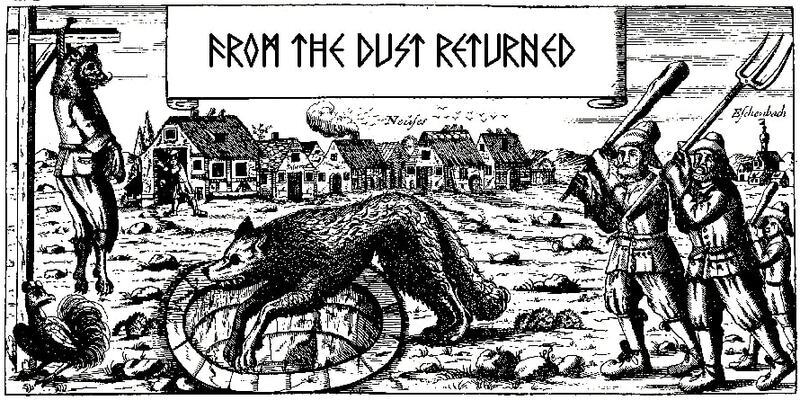 That said, if you are mining for more meaty thrash in the vein of Think of Misery, Wicca, or Despised, you ought to give this at least a listen, if nothing more.